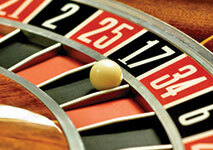 The game of roulette has become one of the most popular among the gambling community. It attracts many people with its easy rules and various betting options. It is often referred to as a game of chance, where the player needs to court the Lady of Luck. That is absolutely reasonable, but it does not mean that you need to place foolishly your bets. The game has developed considerably over the years, so that there are certain strategies, which may turn out to be very useful. To play in accordance with a plan will prevent you from substantial losses. In fact, many inexperienced players believe that there is no logic in roulette and just place their bets in a totally random way. This is far from reality and the following article will provide you with knowledge in some of the most widely used strategies by versed players. Many people believe that the methods of playing roulette are inefficient. The reason is that they tried to play in accordance with them and experienced substantial loss. The reason is that to stick to a certain strategy, every player should bear in mind their own betting preferences, win goals, loss limits and gambling budget. Moreover, you not only need to know the basics of the system, which you go for, but you also need to be familiar with the finest details of it. There is no strategy, which will guarantee you a life-changing amount of money, but the suggested methods work for reasonable goals. Experts in the gambling industry have calculated the odds of winning roulette and have also taken into consideration the house advantage. This advantage is generally referred to as the house edge. In the French style of roulette, the house edge is said to be around 2.7%. For American roulette, the house edge is known to be roughly 5.26%, making the French style of the game much more favorable for regular gamblers. Despite the clear unfavorable risk associated with the game of roulette, it has undoubtedly become one of the most reputable titles in not only brick-and-mortar, but also in internet casinos as well. Several strategists have devised theories that aim to give an advantage to the player. Most of these theories are proven to be ineffective. However, some of them do provide an interesting perspective. We can outline 2 major categories, when it comes to strategies. Depending on the amount of money you place after every spin of the wheel, there is a positive and negative progression system. When talking about positive progression system, the player increases the stake in case of win and decreases it in case of loss. In fact, we may say that the positive progression systems are the counterpart of the negative ones. Most of the roulette strategies are related to the even-money outside bets, which are placed on the outside betting layout. The logic behind it is that these bets cover a larger section of numbers. The payouts might be low, but the winning chances are much better in comparison to the inside bets. The idea is that the player doubles the wager every round and plays with an even bet (red/black, high/low, odd/even). In that way, even if the player loses a couple of times, only one win will leave the gambler with a profit, which equals the original bet. To make it clearer, here is a simple example of the strategy. You start with $1 and first round you lose. Then you place $2 and you lose again, third round you lose $4. On the fourth round, you place $8 and you win. Thus, you have lost $7 in total and you have a profit of $1 at last. Briefly, if you play in accordance with this strategy, you need to double the wager after every loss and reduce it to its initial value after you win. This is an example of negative progression system. Unfortunately, by applying this strategy, you risk facing the table limits very fast, so that you cannot continue to stick to it. Many people will consider that the chance of long consecutive losing streaks is minimal, but the wheel is a game based on random events. So, do not count on the mercy of fate. Moreover, keep in mind that casinos are familiar with these systems and that is the reason why the minimum-to-maximum limits are tight. It is a preventive measure against such strategies. Being a variation of the Martingale strategy, it has a very similar logic behind it. You double your bet, but also add one more unit to it. This is even a faster way to reach the limits of the table, because you play with even higher amount of money. For example you start again with $1, the next spin you place $3 (1 X 2 + 1 = 3), then next round you bet $7 (3 X 2 + 1 = 7) and so on. The advantage of this strategy is that after you hit a winning score, you will gain much greater profit than just the initial bet. The strategy is applicable for even-money outside bets. For example, after you have lost $7, you need to place $15. In case you win an even-money bet, you win $30. This means that you have lost $26 and you have won $30, so your net profit is $4. Thus, we may conclude that the gain is the initial bet plus 1 unit for each loss in a consecutive streak. Being more aggressive variation of the Martingale, it also represents negative progression system. These systems are worthwhile for players, who have more funds and are willing to take higher risk. As one may understand from the name of this strategy, the main idea is just the opposite of the one from the Martingale method. You double your bet, but only after every win and turns to the initial one after every loss. But the system is a bit tricky, since you may lose all the profit after a winning streak. For instance, you bet $1 and you win $2. Then you place $4 and you win $8. After the first loss, though, you will lose all the $8 (the profit plus the initial bet). Since each spin of the wheel equals to a random winning number, it cannot be predicted when the winning streak will be over. Therefore, this strategy is applicable only for short-term betting sessions. Being just the opposite of the Martingale, it is a positive progression system. What is most attractive in this strategy is that your bankroll stays under reasonable limits. That is the reason why this strategy is so favored by many players. The method is also known as a pyramid and the whole idea behind this strategy is to decrease the bet by one unit after a win. In case of a loss, the players increase the next bet with one unit. The advantage of applying this strategy is that it is relatively safe. The D’alembert system is very appropriate for tight bankrolls. Moreover, the player is not in danger to reach the maximum table limits as fast as with the Martingale system. What is most interesting about the D’alembert strategy is that if the number of wins and losses is the same, the net profit of the player equals to the number of wins. For example, in case of 5 wins and 5 losses, your net gain will be $5. The handicap of the D’alembert system is that the player cannot win a substantial profit. But everything comes at a price. In roulette, the risk-averse systems do not offer a striking payout, but rather safety. The other disadvantage of the strategy is the low initial bet. In a long run of wins, the player will reach the minimum table limits and the winning streak will be interrupted. The strategy gives very good results, when used on a French table with only one zero pocket. Despite all the favorable factors, the method is part of the negative progression systems. That is the positive progression counterpart of the D’alembert. Probably most of the “reversed” variations of the playing strategies are devised by players, who experienced long runs of losses by applying the usual strategy. Thus, the idea to put themselves in the shoes of the casino seems more attractive. To do so, the players just turn the rules around. Therefore, it is not a surprise that the contra-Alembert system means that the player increases the initial bet after every win by one unit and decreases it in case of a loss. This strategy counts on sequences of wins, but the problem is that no one can pre-determine when a winning streak will be over. Moreover, in case of an equal number of consecutive wins and losses, you will be in minus by the number of losses. Therefore, the players should bear in mind that to gain a net profit by applying this strategy, they need to have more wins than losses. Probably the name does not ring a bell to the amateur players, but this system is quite popular among the versed players. In fact, it is also known as a cancellation strategy. Similar to the Martingale system, it is a negative progression betting system, since you increase the wagered amount after every loss. It aims to recover the losses with a couple of wins. Being one of the most complicated strategies, it is placed only on even-money outside bets. To apply this method, one may need a pen and a note, because it is related to some calculations. The player starts with writing down an arbitrary sequence of numbers on a piece of paper. The gain for each sequence of numbers is the sum of all the numbers from it. For example, your sequence is 1, 2, 3, so the total value of the numbers is 6 and that should be the profit in case you win. The amount of your bet is calculated on the basis of the sum of the first and last numbers from the sequence. In the case with the aforementioned numbers, that would be 1 + 3 = 4, therefore the amount of the bet is $4. If you win the bet, then the first and the last numbers of the sequence are cancelled. So, you cross the numbers off the note. Then, you continue with the other numbers. In our case, we have left only with one number, which should be the total amount of the bet. So, you place $3. But, if we have the sequence 1, 2, 3, 4, then you need the sum of 2 + 3 = 5. So, $5 should be your next bet. In case you win, then the cycle is over and you need to start with another sequence. Every time you lose the wager, you add one number to the cycle. Let’s take the same example with the sequence 1, 2, 3. After you have lost the first bet of $4, you need to add the amount, which you have staked to the end of the sequence. In case of one loss, the number cycle looks as follows: 1, 2, 3, 4. When losing a wager, do not scratch off any numbers, but you add one more. Let’s say you win the first wager, you “cancel” the numbers 1 and 4 and you are left with the numbers 2 and 3. Your next wager should be $5, but in case you lose it, you need to add 5 to the sequence, since the amount of the last bet is the next number, which should be added in case of loss. Then, your sequence will be 2, 3, 5. Interesting enough is that no matter how long the chain is, after “cancelling” all the numbers, you will be left with a net gain, which equals the total sum of all the numbers from the initial sequence. This type of strategy is also negative progression system. Many players are attracted by it, because it brings a profit through winning fewer bets than you lose, i.e. “canceling” 2 losses with only one win. The problem is that the wheel has no memory and you never know when the bad run will abandon you. It is a mistaken belief that it is impossible to lose one and the same outside bet in a row. This is known as gambler’s fallacy, which led many players to lose a fortune. The other problem of the strategy is that the in a long run of losses, the player takes the risk to bump into the maximum limit of the table, so that the streak should be interrupted. This immediately eliminates any chances of recovering the lost money by following this strategy. Similar to the normal version of the strategy, this one also requires a sequence of numbers and the first bet is the sum of the first and last number of the sequence. From that point comes the difference. In the reverse version, the player needs to add the amount of the last bet as a number to the sequence in case of a win. If a loss occurs, then the first and the last numbers of the cycle are “canceled”. When the numbers from the line are all scratched off, then the player generates a loss instead of win. It is used with placing even-money outside bets. The strategy relies on negative progression, because every time the player generates a loss, the wager is increased. The Fibonacci sequence of numbers starts with 0, then 1 and all the following numbers are the sum of the previous two. The sequence looks as follows: 0, 1, 1, 2, 3, 5, 8, 13 and etc. When applying the strategy in a game of roulette, it should be mentioned that 0 is ignored. To apply this method, you need to have planned how much you will wager per unit. The amount is chosen by the player, but it is highly recommended that it should represent between 2% to 5% from the overall bankroll for the betting session. Following the Fibonacci system means that your first bet should always be one single betting unit, because the first number from the sequence is 1. For example, you would like to place $5 in the beginning. In case of a loss after the first spin of the wheel, the player needs to move to the second unit from the line, which is again 1. So, the second stake will be again $5. For a two-unit wager, the stake should be $10. Therefore, every time you experience a loss, you go up the line. On the other hand, in case you win the bet, you need to go down two numbers in the line. Let’s say you win after betting 34 units. Sticking to the logic of the system, you need to stake 13 units for the next round. Similar to the other negative progression systems, the main problem with the Fibonacci strategy is the risk of a long losing streak. In that case, you will go up the line and your stakes will get high enough to reach the table maximum. Thus, you need to strictly follow how much you are winning or losing, so that you can stick to the rules of the strategy. When playing in a brick-and-mortar casino that may be difficult because of all the distractions. That is the reason why players, who would like to try the Fibonacci strategy, are highly recommended to play in an online casino. The Paroli strategy is often related to as the counterpart of the Martingale one. That is the reason why it is safe to state that this method is positive progression system, because the player doubles the bet after generating a win and cuts it to its initial amount in case of a loss. This system is favored by many players, because of its simplicity. Moreover, it will protect you from chasing the losses, because after generating the third win in a single streak, you need to start playing with your base stake. This strategy is appropriate for even-money outside bets. The betting unit, which you place should not be higher than 5% and not lower than 2% of the overall budget for the certain betting session. Similar to the Paroli strategy, this is a positive progression system, where the risk of substantial losses is insignificant. Being simple enough, it is highly recommended to the beginners. Here, you place your bet again on even-money outside bet. Determine your betting unit and place your first stake. By doing so, you start a sequence, which is complied with the following 1-3-2-6 pattern. In case you win, you go up the line of the sequence. For instance, you place $10 on the first spin, your next bet should be $30, then $20 and at last $60. But if a loss comes up, then you need to start with the sequence from the beginning. What is most worthwhile about this strategy is that it is not based on increasing the bet after a loss. Moreover, it offers moderate bets in accordance with your initial betting unit. The drawback of the strategy is the presence of the house edge. Of course, no strategy eliminates it, but you can go for playing on the European or French table, where the rules are more favorable to the player and provide paybacks for bets that land on either the zero or double zero pockets. There are several different approaches one can take at the roulette table. It should be noted that the purpose of all the strategies is not to beat the wheel, but to keep you safe from substantial losses. By following some of these methods, it will be easier for you to manage your bankroll in a smart way.